Submitter: This book was caught in a recent weeding project. 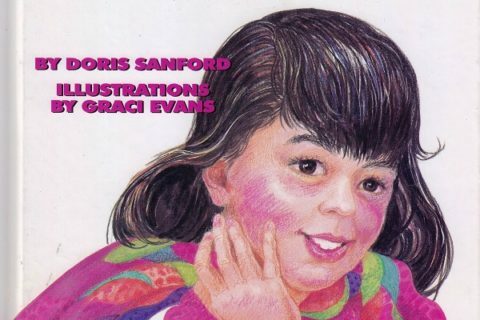 I’m sure there’s a need for picture books on this topic and there aren’t too many available, but a quick scan of Amazon.com shows that there are several that are much more current than this one. Since there is medical information included within the story, the 20-year-old publication date is a big red flag. Also, we thought it was really weird that the fish on the front cover looked so happy about getting caught. Holly: This is a cute book, but I’m with you. 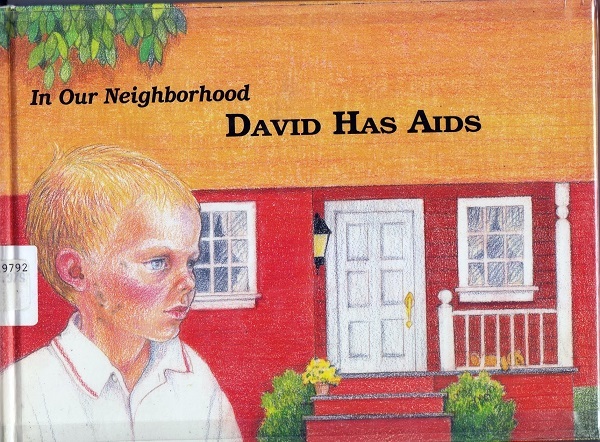 1989 is unacceptable even for a picture book about a medical topic! And, yeah, what’s with the happy fish? Lee does have beautiful eye lashes, though, doesn’t he? I am going to look this up on my library’s catalog right now. I have epilepsy and I want to see if I can laugh. Lee is a girl bunny not a boy bunny. Now we need the story about the fish Lee’s holding. Lee? What an odd choice. Isn’t Lee a boy’s name? I guess the rabbit world is different from ours. Certainly this book blames Lee’s epilepsy on her use of videogames ! I guess you learn something new every day since I have no idea that bunnies get epilepsy. It makes me wonder if one of the writers for Days Of Our Lives was a fan of this book because there’s now a character named Lee although this tends to be a guy’s name instead of a girl’s. That is creepy how happy that fish is about being out of the water since he should be frowning. I know, besides Jamie Lee Curtis, that there are women named Lee. So far my research shows it as being a popular girls’ name in the 1950s, but I can’t find a site dedicated to naming women named Lee. Grr! Kind of sad. Somebody put a lot of work into that book. 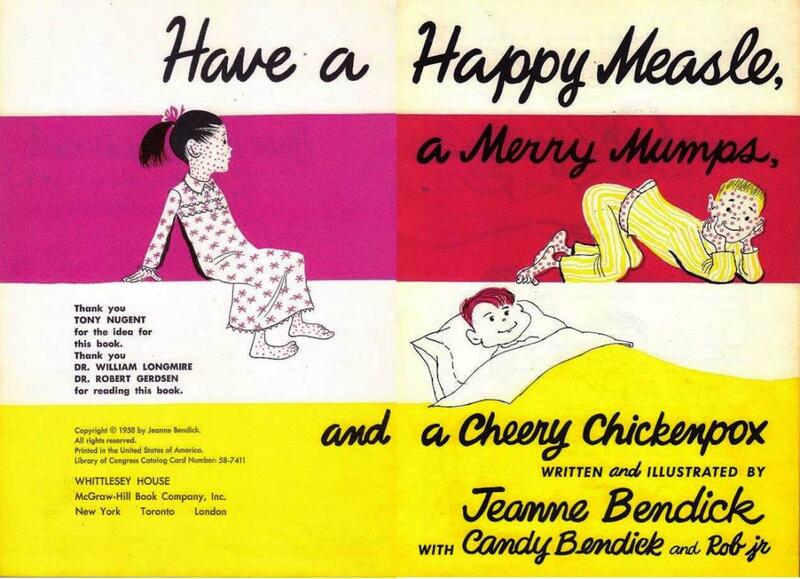 Too bad publishers can’t release books like that with an expiration date and a contract to rewrite at that time. re: women named Lee. Lee Grant, Lee Remick, Lee Phillip, Lee Purcell, and Lee Meredith come to mind. 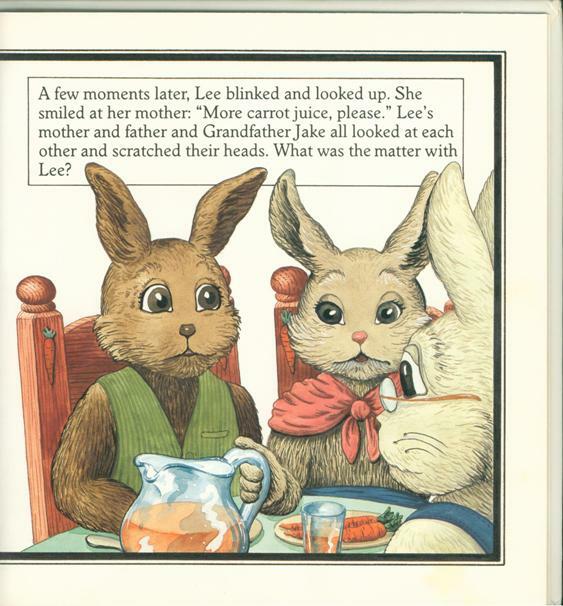 Trish, I think Lee the bunny is having an absence seizure in the picture, so her disturbingly blank expression is justified. 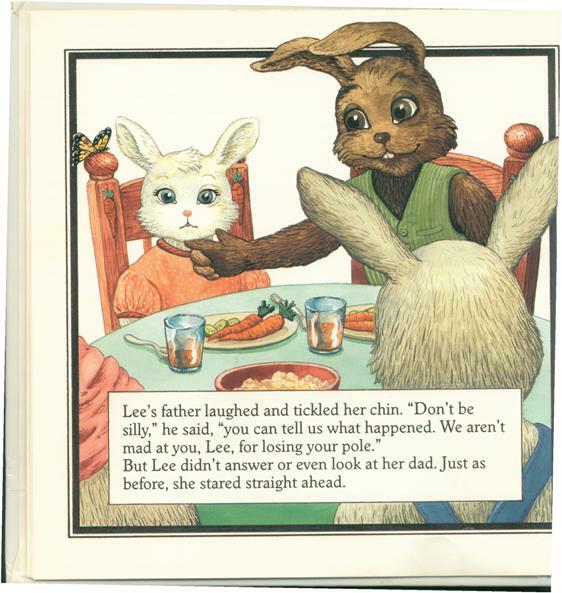 Hazel, Bigwig, Fiver and… Lee? As a baby name enthusiast, I would like to chime in and say that generally the female name is spelled Leigh, where the male is Lee. I’m pretty sure both sexes can be Lee, but given the copyright I think the author was just on crack. So cute! Even right down to the happy fish getting caught this drawings are so adorable. I was a nine year old kid in 1989 with a mother suffering from epilepsy. This book would have helped me alot if I had ever come across it. Maybe she was a Jamie Lee like Ms Curtis? We had a cat with epilepsy (a tortoiseshell/tortie called Mrs Pepperpot). She was well above average intellegence and lived a normal lifespan, but her epileptic incidents were scary. One was apparently started by her hearing the sound of a spray can of paint being shaken. I have a book in this series: Shelley, the Turtle with ADD, or some such. It was OK, read it to my son, he agreed that he gets “wiggly” inside and sometimes doesn’t know what he did until after he did it. 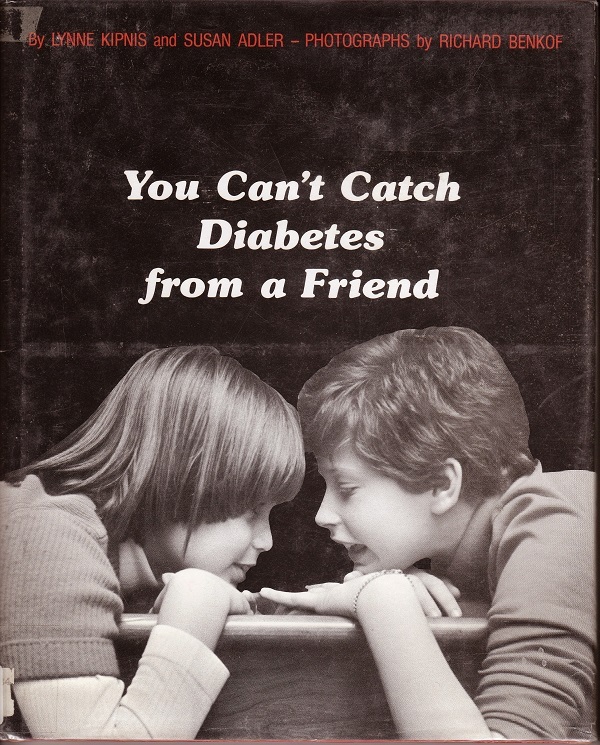 It was vague enough to still be relevant for really young kids to understand, but for older kids or treatment suggestions, go for more current. Ain’t Lee a shortcut for a longer name ? Maybe the fish is happy because it knows that Lee is about to have a seizure and drop him and lose her fishing pole in the process. What’s with the butterfly following her around? Is it a service insect? I like the pictures of the carrots on the chairs. I mean, who doesn’t have pictures of food on their furniture? Roast beef, anyone? Lee is a girls name. Ever heard of actresses Lee Remick? Lee Meriwether? 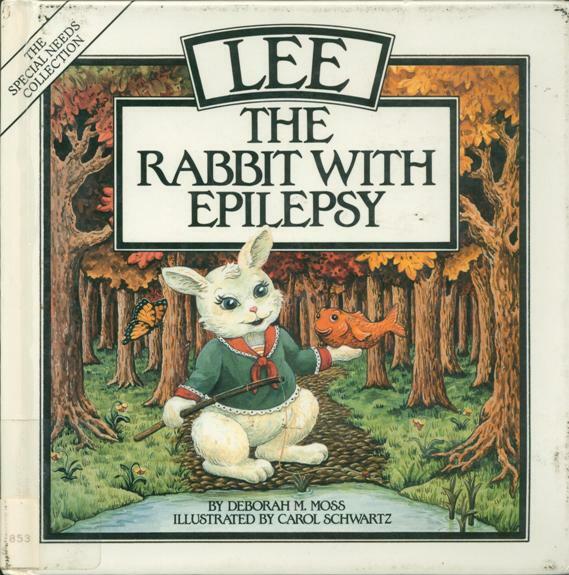 Lee the Rabbit with Epilepsy is still one of the best little books to explain absence seizures to small children and they love it. The date of publication doesn’t matter, the details are still correct. It is a shame it has not been reprinted. Pauline . Librarian, Epilepsy Foundation Victoria, Australia.